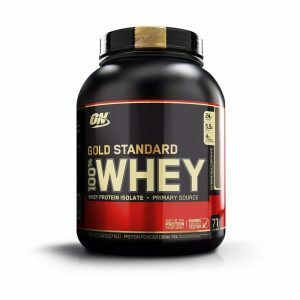 Amazon has Optimum Nutrition Gold Standard 100% Whey Protein Chocolate 5lbs Sale for $25.65 after Subscribe and save discount. (reg. $51) Free Shipping. Next lowest price $58. Rated 4.4 out of 5 stars. Cancel after your first order ships. Made in GMP compliant company owned and operated facilities in the USA, gold standard 100% whey uses pure whey protein isolates as the primary ingredient.